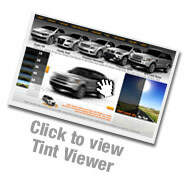 TintCentres.com prides itself on being a customer focused organisation. The people who are part of this organisation understand that we are successful because of our key values. Quality – we don’t settle for second best. After years of extensive research we found the film with the best attributes, our application technique is second to none and is perfected everyday because all we do is handle film. 1st Class After-sales Service – we are so confident about the quality of our work that we offer a full lifetime guarantee, and even if you do have problems – you can bring your car back anytime and we will correct it for you. We are the most popular window film specialists amongst car dealerships and the public near and far, and we’ve achieved this through word of mouth alone! With over 11 years experience in the Window Tinting industry, Tint Centres is a professional business, offering professional window tinting and paint protection to customers throughout the local area. Established in 1996, the business is based in Wolverhampton. Tint Centres has an expanding network of clients, including several large organisations. With a large team of specialists of window tinting and paint protection, Tint Centres has a professional team, highly skilled to a very high standard.